Last Friday I stopped in to the two-week-old Copper City Brewing on Oneida Street in Rome, New York. My friends and I marveled at the packed house, unique interior, friendly staff and outstanding beers. Looking around, we saw people from Rome, Utica and the surrounding Central New York towns, all coming together to enjoy some outstanding micro brews, great atmosphere and exceptional company. Just 20 minutes away, neighboring Utica is quietly building momentum behind a surging nightlife and upscale restaurant scene. Downtown Rome, in contrast, boasts very few locations where residents and visitors young and old can have a couple drinks on a Friday night (or any night!) with friends. 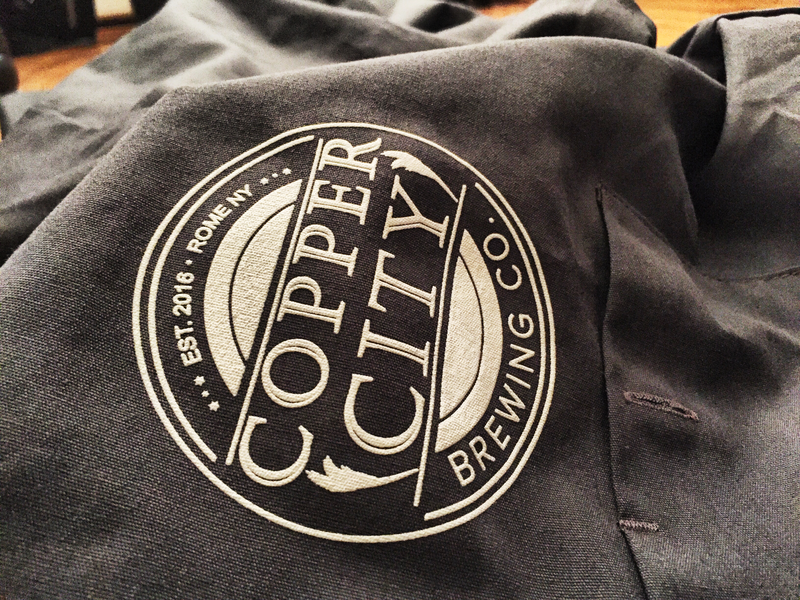 If Copper City Brewing’s first weeks of tremendous business are any indication, all of that may be about to change. So why are breweries so important to the prosperity of small-to-midsized cities and neighborhoods? The answer has many tiers. By now, most Americans know what Budweiser, Coors Light, and Guinness taste like. The mystery is gone, the potential to taste something new is vanquished as soon as you grab the 6-pack off the rack of your local convenience store or order one at the bar. The craft beer explosion makes complete sense when you combine America’s love of beer with the curiosity of new tastes and flavors and the desire to support a local product. A group of men and women can feel comfortable sitting down in a cozy yet industrial setting, tasting, sharing and discussing some unique brews. It’s a social experience, an exploratory experience as much as a drinking experience. And while traditionally beer has been more popular with men, recent data shows that women have fully embraced the craft beer scene, making micro breweries a popular date spot and social destination for everyone. Adding to the aforementioned experience is the brewery tour… nearly every brewery has some sort of tour where a guide not only explains the process, but also shares the unique story of the brewery itself. And that’s just the tour within the breweries… just like wine tours, which have become extremely popular in the Finger Lakes region, it is not uncommon for groups to grab some friends and hit several breweries in a day. Since breweries have become a sort of local tourist attraction, it gives outsiders a chance to see many cities they might never venture to on their own. Now more than ever, people want to get behind a product, a brand or an idea. You can’t spend a day in Utica without seeing at least a handful of people with Utica Club beer shirts or hats. This not only sells beer, it feeds the local pride as residents rally behind the home grown product. It’s almost like wearing a jersey of your favorite sports team… you see someone else wearing the gear of the team you love and immediately you have something in common with that individual. Urban breweries as a whole have combined people’s love of coffee shops with their desire for unique adult beverages and an inclusive “everyone is welcome” feel. When you walk into a place like Copper City Brewing in Rome, you get the sense you’re walking into a vibrant community meeting place instead of a bar or restaurant. It removes some of the stigma that is often associated with the more traditional bar scene. Copper City is a game changer for the city of Rome, its residents and visitors. Cheers to all the brewery owners who are putting their small cities on the map as well as adding a vibrant layer to the fabric of the downtowns they inhabit!